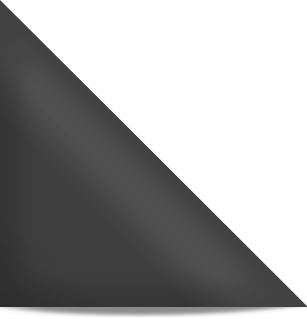 Home » Readers’ Forum: Why interview when there’s no job? 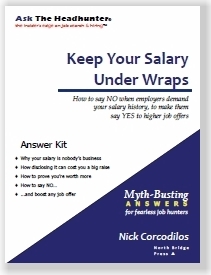 Nick’s discussion is very much on the mark. There’s no stunning insights to add. But I can reinforce it with real experience. 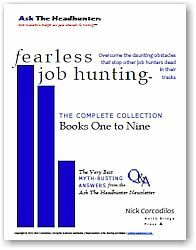 Job hunters whether they relish it or not are in sales. Selling themselves to someone who has a job to offer. In sales, you’re either selling in a short cycle e.g. going after what the reader referred to as an “open job”…something he/she’d like NOW. Or you are selling into a long sales cycle which requires establishing a solid working relationship with the client/hiring manager so you are ready when an opening does materialize. In this sense think “job” forget the open part for the moment. As a hiring manager I can assure you there is always a “job” in the works, seeded by future attrition,(replacement) or an idea (incremental). It’s not a matter of if, but when. Which is why it’s never a waste of time to find and build a relationship with a hiring manager or internal recruiter. And yes I’ve created jobs to capture an outstanding person, and I’ve definitely kept a special file of people I met who I’d like to have aboard when I am able to hire. On my end, I built that file by networking with potential new hires. That means I’ve met them and for practical purposes we interviewed each other and established mutual interest. As a company recruiter Nick’s point “your credibility is greatest when you approach companies and managers you really want to work for. When you’re motivated and know your stuff, managers take notice”. says it all. Recruiting utopia for me is finding a super candidate who will stay with us until they retire. That’s unreasonable to expect and unpredictable. The next best thing is you want to work for the company, show commitment to coming aboard, and demonstrate it by good follow up. The likilihood is a long tour and value add contribution, more so than from someone who’s walked in the door via a short term transactional interview. To make the point, we recently hired two people into sales who I met a year ago when they applied after we closed the job (hired someone). They kept in touch, we met them, had them come back when they asked. As I said, it was a matter of time and new openings appeared. They were already well on their way and no one touched them in a short list. They had already shown high interest in us, via networking and research knew about us, and they quickly convinced the hiring team they were super hires. 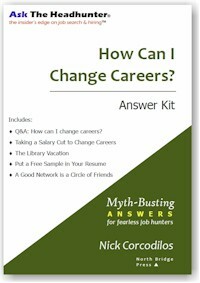 @Don ‘Job hunters whether they relish it or not are in sales.’ Absolutely right. One advantage job seekers have over salespersons, though, is they only have to make one sale; once you’ve closed the deal, there’s no quota for next month! A client of ours who recently found a position commented to me that he had just been ‘in the right place at the right time’. But that’s true of every job anyone gets. The secret is to be in as many likely places as you can talking to as many people as you can. The informal or informational interview, with no expectation that a job is on the table, can be one of your best sources for advice and referrals, especially if you are looking to change careers. 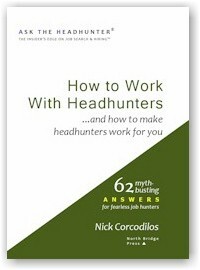 Read Nick’s article on the subject here: http://www.asktheheadhunter.com/crocs48whodoesthework.htm.